DMC metallic embroidery threads to add sparkle to your embroidery projects. This 3-ply, non-divisible thread is perfect as an accent on all types of hand embroidery and cross-stitch. 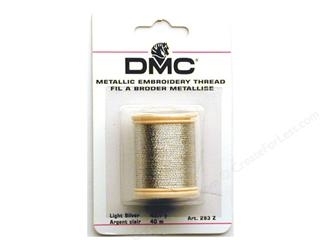 * DMC Metallic Embroidery Threads are washable and resistant to tarnish.